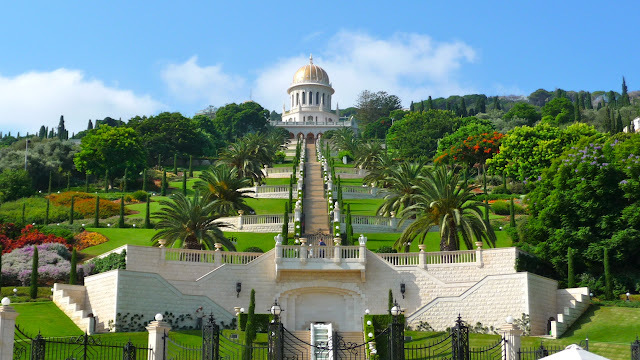 Anyone enquiring about the landmarks of the city of Haifa will most likely be right away directed to the majestic Shrine of the Báb and its gardens on Mount Carmel. Together with the Shrine of the Bahá'u'lláh near Acre, these sites make out the Bahá'í World Centre. Much of the international governance and coordination of the Bahá'í faith and its global community, estimated to be at around 7.1 million worldwide in the year 2000, occurs in this centre. During prayer all Bahá'ís turn towards its direction and as such it also constitutes the primary pilgrimage destination for the community. Considering the centrality of the location to the Bahá'í faith, it is surprising to hear that apart from approximately 600 volunteers, members of the faith do not reside or preach in the State of Israel and in order to visit the country, any Bahá'í has to seek permission from the World Centre in advance. Following very explicit instructions by their late spiritual leader, the Bahá'ís also do not seek or accept converts here, as this may result in controversies in a region so sensitive to faith issues. Outside of Israel the community implements strategic programmes in order to expand and to actively promote its faith. So how did the Bahá'í faith, originally hailing from Persia, end up establishing its central religious sites in this region? According to the Bahá'ís themselves, the connection between their faith and what is now the State of Israel simply came about through historical circumstances. Being branded as heretics and enemies of Islam, followers of the faith have suffered from persecution since its inception in the Persian city of Shiraz in 1844, when Siyyid Ali-Muhammad announced that he had been appointed by God as the gateway - the "Báb" - for a universal Messenger of God, a claim that challenged the Islamic belief of Muhammad being the final prophet. 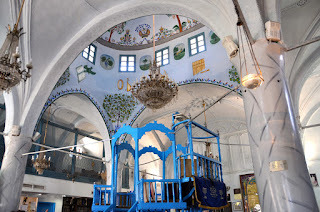 Being judged a dangerous heretic, Siyyid Ali-Muhammad, the Báb, was imprisoned and executed in 1850, his remains were later secretly brought to Haifa and buried in what is now the Shrine of the Báb. 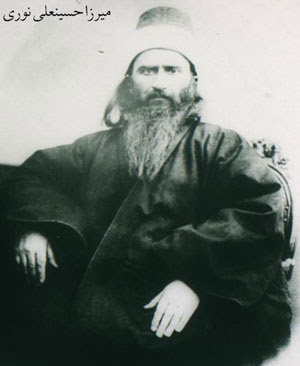 In 1863 Mírzá Husayn `Alí Núrí declared his claim to the divine mission and thus to being the Messenger of God, as announced by the Báb and thenceforth called himself Bahá'u'lláh. After being expelled from Tehran to Baghdad, to Constantinople, he was banished a final time to the then Ottoman penal colony of Akka, Acre, in 1868 where he eventually died after 24 years of confinement. By the time that Bahá'u'lláh had designated his eldest son as his follower and thus as the leader of the Bahá'í community, the "Centre of the Covenant" and "Head of the Faith", Haifa and Acre had established themselves firmly as the centre of the faith. In the early days of the religion, accusations against and persecution of Bahá'ís were mainly based on religious grounds, yet non-religious accusations started flourishing throughout the 20th century. Especially with increasing criticism against the executions of community members in the Islamic Republic of Iran, the regime couched the persecution increasingly in political terms, and referred to the Bahá'ís as a dangerous political movement, rather than a faith based community. Claims started spreading from Persia and later Iran that the Bahá'í had ties to foreign powers, were agents of Russian imperialism, British colonialism, American expansionism, and obviously, having established their centre in Israel, of Zionism. "In accordance with my religious duty, I am warning the people of Iran and the Muslims of the world. The Quran and Islam are in danger. The independence and the economy of the country is in the grasp of the Zionists who have appeared in Iran as the Bahá'ís. Before long, owing to this deadly silence by the Muslims, they [the Zionists] will overtake the entire economy of the country with the blessing of their agents [Bahá'ís]. The Bahá'ís themselves consider their relationship with the Israeli state as good and absolutely untouched by any political considerations, as their presence in the Holy Land precedes the establishement of the Jewish State. 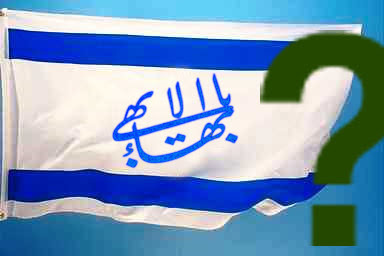 Their "neutral" stance in the face of occupation and repression of Palestinians has however caused a lot of criticism and charges of hypocrisy against the followers of a faith, whose stated aim it is to work towards the complete equality and unity of humankind and a world government that will eradicate extremes of poverty and wealth along with all forms of persecution. The community defends their stance by claiming that according to the founder of the faith, Bahá'ís in general should be loyal to their respective government, not be involved in politics, and should obey the laws of the country they reside in. In accordance with those regulations the community never voiced an opinion on the situation in Israel and Palestine, but just as any other minority living in the region, be it the Druze or the Samaritans, also the Bahá'ís, simply by their presence, inevitably get sucked in to politics. Other conspiracy theories against the Bahá'ís include their will to infiltrate and eventually to replace the Israeli government and to convert the region's population en masse to the Bahá'í faith. More harmless rumours concern speculations about a secret infrastructure underneath the Gardens, which include bomb shelters, conference rooms, medical clinics, dining hall, supermarket and parking garages. As a relatively small community spread all over the world, many allegations against the Bahá'ís resemble anti-Semitic images: a small powerful group with trans-national ties, capable of meddling in other country's affairs to further their own interests. Not surprisingly, just like the Jews, also the Bahá'ís are still often associated with the Freemasons movement. The coincidental establishement of their religious centre in a region which would soon turn into the contested State of Israel obviously only fuelled the sentiments held against the Bahá'í community. 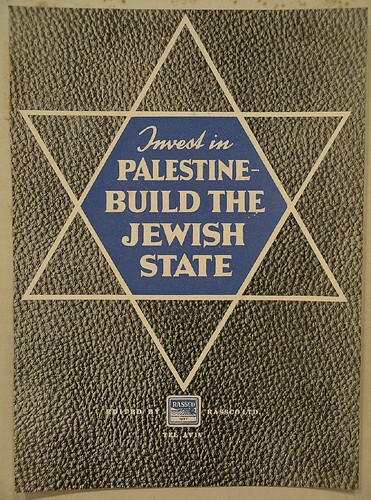 The maintenance of "good relations" with, and thereby support of the Israeli government does further thwart their expressed wish to stay neutral within such a politically charged climate, and will most likely also not advance their own aspirations towards the fulfillment of a united world, free of oppression, discrimination and poverty.